The never seen (never made) Fantastic Four TV series | The Daily P.O.P. The Fantastic Four is possibly my favorite superhero comic book (alongside The Doom Patrol). Combining elements of pulp science fiction and horror with soap opera, the Fantastic Four explored the outer reaches of imagination and the deepest depths of the human adventure. Over the years, the FF have been adapted into animation and live action with… mixed results. But what if it were developed into a top notch TV serial in 1963? What would that have looked like? With scripts by Theodore Sturgeon, Harlan Ellison and more and featuring the voice of Orson Welles and pop icon Fabian as the Sub Mariner… this would have truly been a marvel of the television medium. Starring Russell Johnson (of Gilligan’s Island fame) as Reed Richards/Mister Fantastic, Bewitched star Elizabeth Montgomery as Susan Storm/ The Invisible Girl, veteran character actor William Demarest of My Three Sons as Ben Grimm/The Thing and teen heart-throb fellow My Three Sons star Tim Considine as Johnny Storm/The Human Torch, the series was a hit… in another dimension in which it was filmed and screened. The folks over at AuntPetunia.com have painstakingly crafted a most wonderful fantasy in which the beloved comic book of the 1960’s has been re-imagined for the small screen… and it’s perfection itself. 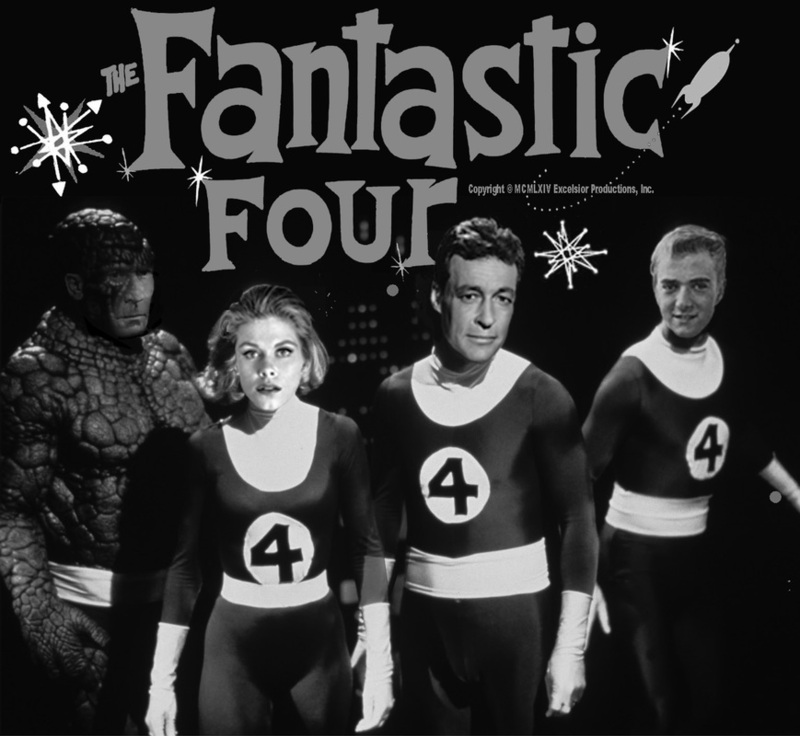 This site is dedicated to celebrating the greatest TV show never seen, the 1963-64 version of The Fantastic Four. Although only a handful of people have ever seen anything other than a few screen shots and publicity stills from this series, it has become a minor legend in TV history, partly due to the confluence of talents who worked on it, some on their way down from former glory, others doing journeyman work before achieving future fame. But it’s also, in part, because, as fans of both comics and classic TV, we can’t help but believe this would have been one of the greatest television series ever aired. If, after reading about this show’s amazing history, cast, crew, and episodes, you don’t agree, it’s possible that you are a Skrull. I won’t spoil any of the fine details but rather encourage readers to visit this site and drink deep from the cup of possibilities and become drunk with the fantasy. This Post was posted in Fantastic Four and tagged fantastic four marvel comics. Bookmark the permalink.